At Empowered Finance we can arrange a finance solution for all your business needs – from cash flow loans to commercial property finance. With access to a broad range of lenders and financiers we will analyse your requirements and find the right solution for your business. We know that as your business grows, consumer demands increase and commercial properties may have to be replaced more frequently. Do you need more passenger cars for your taxi business? A major capital expenditure? Trucks for your construction company? Or a larger commercial space to keep up with your growth? Your business will need money to maintain your growth and to compete in your industry without falling behind. Don’t let your competition pull ahead, speak to our commercial lending experts to ensure your business goals are met. What is the commercial lending process? Information about your financial history, income, existing debt, and purpose of the loan are critical in the commercial lending process. If you need funding for an existing business, you may have to provide some background information about the company and a business plan for the future. Personal financial statements, tax returns dating back to 2 years ago, and a list of assets and liabilities may also be required. Once the relevant paperwork has been submitted, the available collateral, credit history, and income may be reviewed. In most cases you will need to provide some sort of collateral/security. This usually involves property, plant and equipment and/or goodwill. This is critical in assuring the lender that they can recover the money even if your business strategy fails to go as expected. Based on the information provided, your loan may be approved or denied. If approved, you will have to sign a document regarding the total amount to be financed, the terms of the loan, the terms of repayment, and the type of collateral applied to the loan. After the final approval, the remaining paperwork can be filed, completed, and closed. You can obtain finance for commercial vehicles or other items and assume full ownership of the vehicles or items at the end of the loan’s term. Empowered Finance can link you to equipment financing with flexible repayment options and term lengths that meet the specific needs of your business. To find the right solution, commercial finance requires a reasonable degree of experience and skills. At Empowered Finance we pride ourselves on the expertise that can help you secure the right commercial finance according to your business needs. We don’t provide comprehensive, one-size-fits-all solutions. Instead, we seek out the most appropriate financial solutions for you at the best rates in the market. We can facilitate funding for large corporations, start-ups, developing businesses, and established small to medium enterprises. Commercial lending tends to be more flexible than most forms of financing. At Empowered Finance we have established a strong relationship with lenders, which gives us considerable knowledge about a variety of commercial lending options. Our years of experience in the commercial lending industry allow us to link our clients to the commercial loan that best suits their needs. Have a Question or Looking for Advice? Our mobile service can come to your home or office, after hours or on weekends, to discuss the finance options available for your business. We can help you understand the commercial lending fundamentals to give you confidence as your business grows and moves to the next level. We can schedule an interview where you get a chance to elaborate on your credit needs. We can plan a site visit to examine the location of the business and ask questions to understand your new project better. We will provide answers and support throughout the process. You may be required to submit certain documents to your chosen lender. This may include complete financial statements or a board of directors’ resolution to authorise negotiations. Your chosen lender will check your designated collateral to ensure that they have immediate access to it, in the case of defaulted business payments. If they are satisfied with the soundness of the collateral the loan agreement is prepared and signed by both you and the lender. Your chosen lender may occasionally monitor your adherence to the terms of the loan. They may also visit your business’ premises occasionally to check out your business progress. Throughout the life of the loan, you can always reach out to Empowered Finance for advice. Why should I use Empowered Finance when commercial lending? Banks are less likely to offer you beneficial deals if you are already hooked with them; for instance, if you already have another loan with your bank, they may not provide you with the best rates. They may also overcharge you if you ask for commercial lending. In contrast, at Empowered Finance we can negotiate the lowest interest rates for you, regardless of your financial status. This is because we don’t work for the bank, but for you. 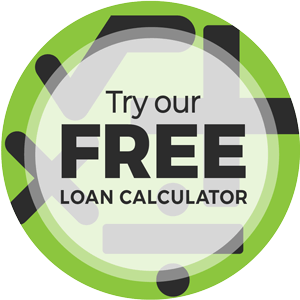 We can compare different loans from various lenders that you couldn’t access on your own. With Empowered Finance, you can get a clear picture of what the market has to offer, the entry fees for ongoing charges, interest rates, and other associated costs. You can rest easy knowing that you secured the best deal in the market as we link you to the most appropriate commercial finance company. At Empowered Finance we continuously challenge the lenders we work with to shift from the traditional banking practices of commercial lending. We look to lenders to offer you attractive terms, good support, and exceptional services. At all times we encourage them to provide funding diversity that can enable us to react to various changes in the market. Our lending panels are reviewed frequently to ensure that the lenders have a competitive edge. As your business needs change, Empowered Finance can ensure that your loan remains as competitive as possible. While commercial lending is less regulated, the underwriting process is more detailed and rigorous. Depending on the complexity of the deal, a commercial loan may take up to 90 days before settlement. Lenders evaluate the ability of your business or property to generate income and repay the loan as agreed. They may work out the ratio of operating income and collateral debt to find the loan to value ratio (LVR) and debt service coverage ratio (DSR). Commercial loans are often agreed for five years or less. The interest rates are often determined by the business’ financial condition and the type of business. The business owner may be asked as a guarantor to pay if the business fails to meet its obligations. The borrower may be required to meet the lender occasionally after the loan closes. The agreement may include supplying audited financial statements quarterly or annually and maintaining proper insurance levels. Specialty lenders, credit unions, major and local banks can provide your business with commercial loans. However, at Empowered Finance we specialise in helping you navigate the entire process. Our expertise and the established relationship with various lenders enables us to find the right solution for your business’ financial needs.